Blacks are much more likely than nonblacks to have an opinion about Zimmerman’s guilt. Overall, 72% of blacks say Zimmerman is definitely or probably guilty of a crime; 1% say he is not. Nonblacks also say Zimmerman is guilty, by 32% to 7%, but well over half of nonblacks say Zimmerman’s guilt is unclear from the available information. Blacks are more certain about their opinions than are nonblacks. Blacks who say Zimmerman is guilty of a crime are significantly more likely to say he is definitely guilty than probably guilty, while nonblacks tilt more toward the "probably guilty" choice. Amazing how white and black Americans have totally different perception. The truth can only be one. And the same evidence is known to all. Are racist whites biased and unjustly anti-Black? Or maybe Blacks (and Liberals) have been taught that Blacks are always victims and never responsible for any negative fate. Not for lower educational and financial attainment of Blacs, their higher criminality. There always is a white repressor to blame. "I am misbehaving and having bad school results because there was slavery in 1860". If it is possible to distort the scientific race and iq discussion, how much easier is it to get a distorted view of a criminal case. 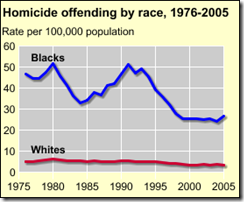 As a matter of fact, Whites hide and distort black criminal tendencies. So, if anything, Whites already are biased in favor of Blacks. Add to this the proven lower IQ of Blacks, which makes it more difficult to understand complex issues and see through Al Sharpton’s manipulations. Of course, media manipulation, like selective editing of the 911 call to make Zimmermann look racist, using 4 year old photos of Trayvon when he was 12 and a mug shot of Zimmermann when he weight 50(?) lbs. more serves to get people up in arms against Zimmermann. To top it off, spanish speaking and Peruvian Latino race Zimmermann is called a member of the evil white race. 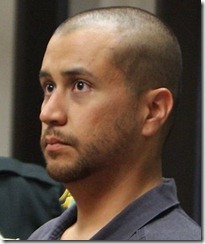 Liberals and the biased manipulative press reports probably account for the 31% of non-blacks that believe Zimmermann is guilty. Gallup should also have reported if these 31% consist largely of people who don’t follow the news and thus are the less informed. And yes, Human-Stupidity already mentioned valid issues on both sides: the cover-up of criminal thuggery of a son of a Sanford policeman, as well as media neglect of black on white assaults in that same city in the same time period. We are just mentioning the tip of the iceberg, much more thorough analysis is needed. Why do the races (which allegedly are socially constructed and don’t exist) have such clearly different opinion in the Trayvon Martin – George Zimmermann case, as in the OJ Simpson and Rodney King case. In the Rodney King case we can see the tendency to assign human rights protection to a heavily drugged felon who endangered people in a reckless car chase and violently fought of police. In the Trayvon Martin case Human-Stupidity keeps pointing out that it is taken for granted that a black man can punch anyone for slight provocation such as following at a distance. U.S. public opinion about the Trayvon Martin case in Florida reflects the same type of racial divide found in 1995 surveys asking about the murder trial of O.J. Simpson in Los Angeles. In one Gallup poll conducted Oct. 5-7, 1995, for example, 78% of blacks said the jury that found Simpson not guilty of murder made the right decision, while only 42% of whites agreed. 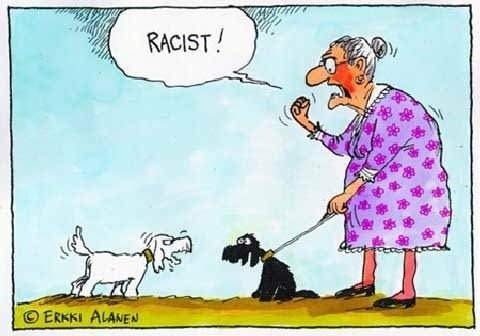 Author Human-Stupidy (Admin)Posted on April 14, 2012 April 14, 2012 Categories Political correctness, Race & IntelligenceTags Human Rights, Trayvon Martin, george zimmermann, race, race iq, racial differences, racial profiling12 Comments on 7212 of blacks, 3112 non-blacks believe George Zimmermann is guilty(Gallup). Why the racial differences? This TV series about Race and Intelligence shows the facts pretty well. The authors are fairly open minded. In the end they trying to remain politically correct and find what they want to find: that there is no genetic basis, or that differences are only due to discrimination. It is easily forgotten: Human-Stupidity is not really about the scientific discussion and solution of racial theories. We are most interested in unconsciousness, blindness, dogmatism. We are watching how clear scientific statements by Jensen, Rushton are met with ire and pseudo-scientific rebuttals. Even Mr. James Watson, who is not a normal Nobel Prize winner, but considered one of the most prestigious of Nobel prize winners was destroyed when he dared to speak unpopular truths. Even he is so wrong, where are the scientific rebuttals instead of the ad hominem attacks? discussion between J Philippe Rushton and Graves kindly sent by our reader EgalitarianJay. First one 10 minute discussion. There Rushton gives precise answers. His opponents manage to find the most ridiculous excuses to defend their positions. “Race does not exist. Asked if they had 100 Chinese in a shower, 100 Kenyans in a shower, 100 Englishmen. Can they identify which is which?” They still could somehow argue they could tell the difference, but somehow the difference is not clear. Hilarious. Further down on that page you can see the 2 hour-long discussion. The film mentions this case: Racial differences in intelligence: James Watson, Nobel Prize winning geneticist persecuted for scientific truth | Human-Stupidity. They even mentioned the fierce reaction he encountered and that he refused an interview, after consulting his advisors. They did not dare to say clearly that what he said was the truth. 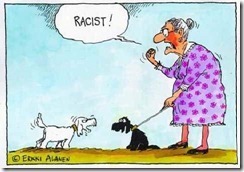 Author Human-Stupidy (Admin)Posted on April 3, 2011 October 13, 2012 Categories Race & IntelligenceTags political correctness, race, race iq, racial differences9 Comments on Evolution, Intelligence, Behavior, Race. Political correctness backfires and vicitmizes Blacks: research about how to improve black health care gets attacked and repressed. If optimal medical treatment differs by race, then researchers gets attacked. After all, race does not exist and is only a construct. And it is only skin deep. The "race does not exist dogma" and "all races are equal dogma" is an impediment to medical research and victimizes black people who are denied optimal medical treatment. But even while Albain’s and other similar studies don’t do much to shift the prevailing medical opinion — that disparities in health are fueled mainly by socioeconomics and access to care — they remind us that antiquated and unscientific ideas about race are alive and well in medical research in America. Now the author is a little concerned about being seen as attacking academic research. and people on both sides of the debate want to save lives. 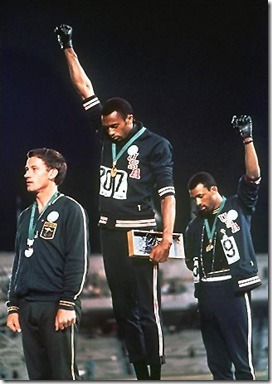 Author Posted on July 30, 2010 October 13, 2012 Categories Race & IntelligenceTags political correctness, race45 Comments on 71 fastest runners on earth: 1 white Christophe Lemaitre & 70 blacks. Are races equal?